Are you struggling with your digital campaigns? I’ve spent three days with Oracle this week focussing on Oracle Marketing Cloud. 18 months ago, that was Eloqua. Today and US$3B dollars later it’s much more. It’s Oracle Social Relationship Management, it’s Oracle Content Management and when the paperwork is signed and sealed, it will be Oracle something…. at the moment it’s BlueKai – big data management for marketers. The key takeaway for me, after “drinking the cool-aid” for three days, was that the Oracle Cloud solutions are a functionally broad and deep solution for Modern Marketers. Marketing Cloud is just one aspect of the wider Oracle CX (Customer Experience) range of solutions. I’d argue the widest and most complete of any offering available to organisations today. With a CX Foundation and a focus on the Customer, each of these various solutions integrate to ensure your organisation can achieve a true single view of the customer. My focus is the Oracle Marketing Cloud which integrates with each of the above via Oracle’s Fusion technology. This essentially means that Marketing no longer has to communicate with the rest of the organisation via excel spreadsheets and wait for 48+ hours for the data warehouse to update information across your organisations various technology platforms. I have a customer at the moment who, through legacy business decisions, has a horrible data problem in their CRM. They have modified the CRM so much, that trying to make a change now is a “gargantuan” (their word, not mine) task. Oracle Marketing Cloud does many things, but one thing it does really well is to help an organisation get data in place or at least identify where the data model needs some serious work. Another great tool is the level of personalisation you can achieve. This happens in a few ways. You will have profile data already, this helps you get your message to the right person, but it’s not the only tool you have. Once you have access to digital body language, you can marry your profile data with behavioural data and achieve a deeper level of personalisation. In a recent campaign I wanted to pass on a 30% discount code for an upcoming event I knew marketers would be interested in. Initially I thought I’d hit the database, but this really flies in the face of everything I talk to my customers about e.g. batch and send. So, I thought a bit further and decided to identify our customers and prospects who have been active in our various campaigns. 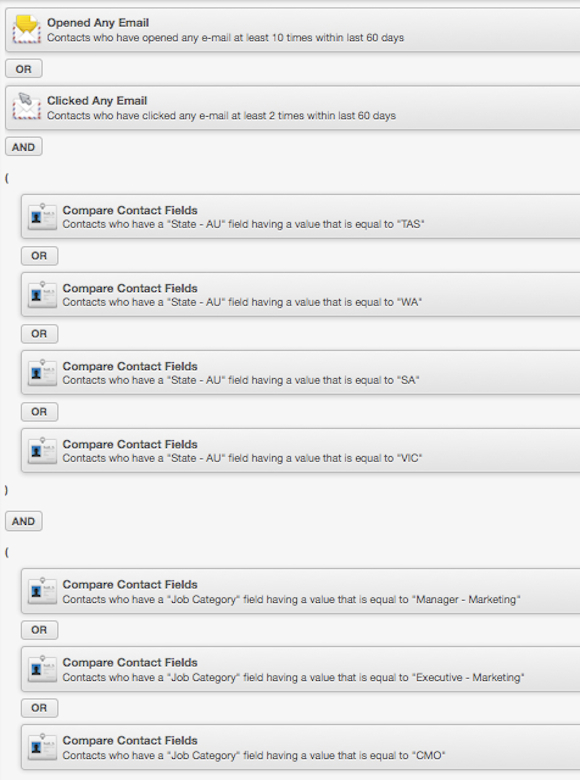 In the screen dump below you can see how I segmented our data using the Segment tool in Oracle Eloqua Marketing Cloud. This segment includes profile data, behavioural data and then an overly of recency i.e within the past 60 days. To learn more about Digital Body Language and how you can use this powerful tool, click below. Making the Change from Email Marketing -> Marketing Automation	Teenager Buyer Behaviour has certainly changed.